Enjoy the classy design World Rogaining Championships 2017 Copper Mug! 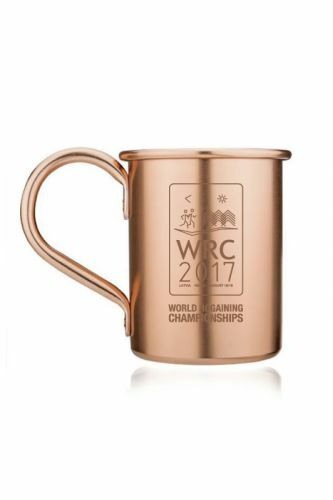 Whether you are serving up your favorite cold or hot drink, this simple yet elegant Copper Mug will remind the best moments of the competition. Bring your solid Copper Mug home, take a drink, remember the best moments and start to plan your next adventure! Moscow Mule Copper Mug engraved with the event logo, and has a capacity of 415 ml.